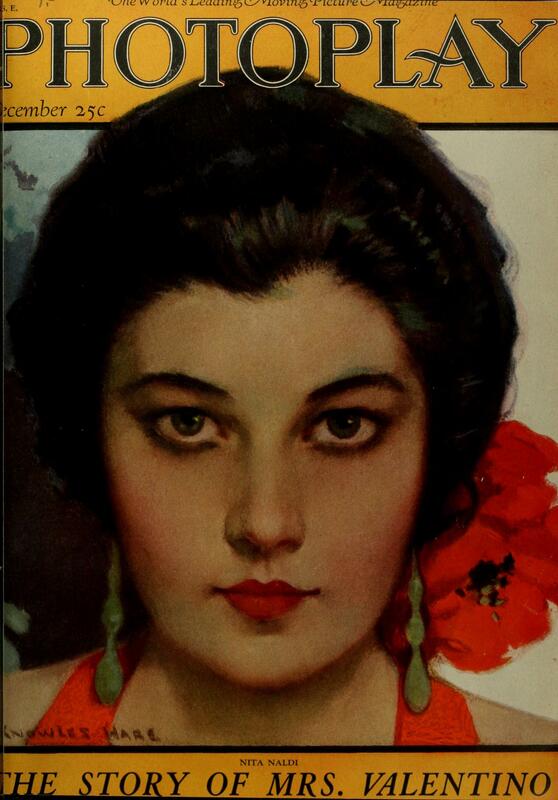 Photoplay Books, Advertising, Heralds, etc. Nita Naldi was a featured player, rather than a lead, and as such, she did not have hordes of news photographers dogging her footsteps. Nevertheless, she was a popular personality and there are plenty of great photos of her: candids, portraits, and scene stills from her films. Your Naldi Investigators have an embarrassment of riches when it comes to photographs, so this section of the website will always be a work in progress. Please check back frequently to see what new goodies we have for uploaded for your edification and enjoyment.